One of the biggest items of feedback we hear is how you can smell the leather immediately upon opening the box. This is because we use a full grain leather with all of our leather goods which is the highest quality and most durable leathers you can get. Over time and with use, you may start to see the natural imperfections and marks which makes that piece of leather unique to you. It can tell a story with each scratch and as it wears, but sometimes we want that story to start over. You can do so by using our leather cream. Our leather cream restores flexibility in the fibers, waterproofs it and protects it from cracking and breaking down. The more you use it and care for it, your unique piece of leather will get even better over time. Here are some tips on how to take care of your leather goods and keep them looking fresh. 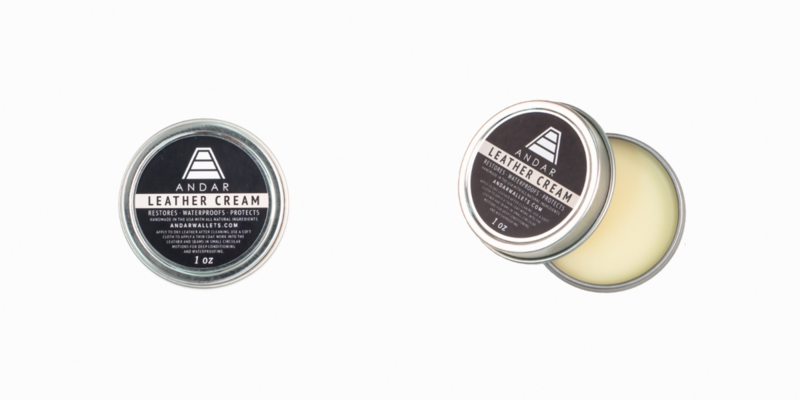 You'll need to use our leather cream, a leather dressing or conditioner. Grab a clean cotton towel and rub in the cream or dressing to the entire surface evenly. Apply more if needed, but this should bring back that leather. Dry the leather slowly and at room temperature. Make sure you dry it in the shape you want it to end up in.